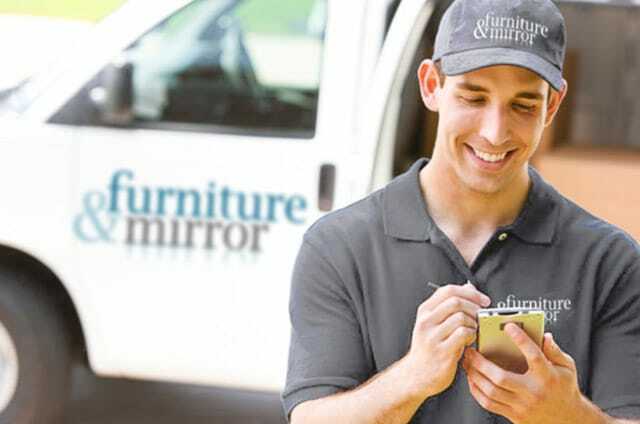 Furniture and Mirror: Serving the South Since 1983. Ensuring choice is always available. 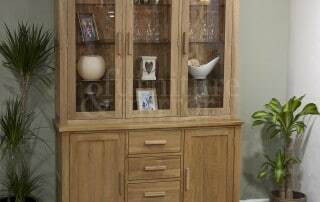 Time is precious and when you are considering your next furniture purchase, we want to give you the very best experience in helping you select the items and styles that right for you. 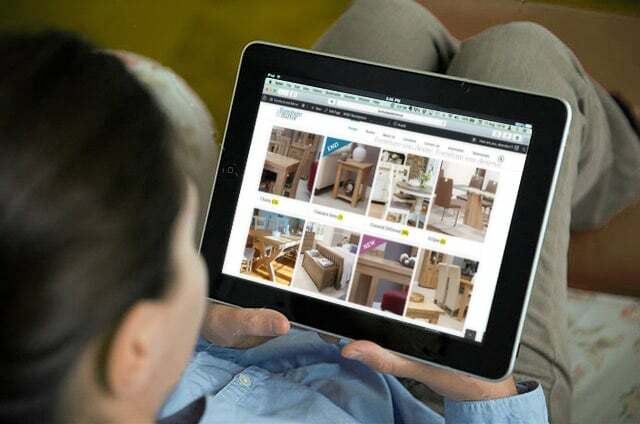 We continually update our website and ensure that it is mobile, tablet and Smart TV friendly so that you can peruse at your leisure in a way that suits you, anytime of day or night. 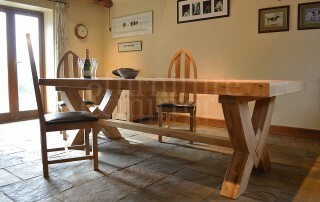 No matter how good the photographs and descriptions, we believe quality needs to be seen and experienced first hand. Many business try and cut corners to save money and merely operate as middle men with huge delivery timescales. We are not like that. 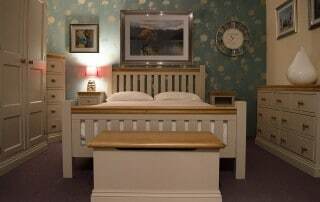 We hold huge stock in our warehouse and all our items are available to view in our showrooms. Or delivery within 7 working days. The majority of the items we have on display are available for prompt dispatch – and many items can be taken away the same day. 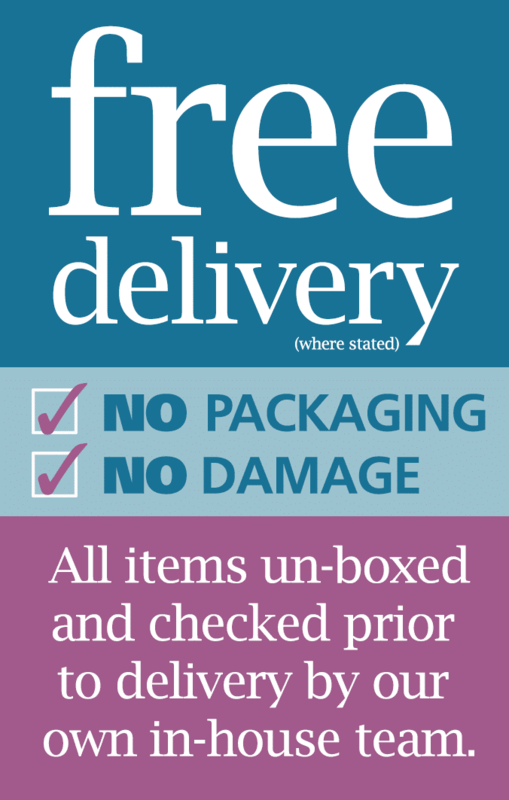 We also offer a free delivery service (where stated) within a 60+ mile range of our showrooms, and we will carefully check all items before delivery within 7 working days. No mess. No damage. And no long lead times. 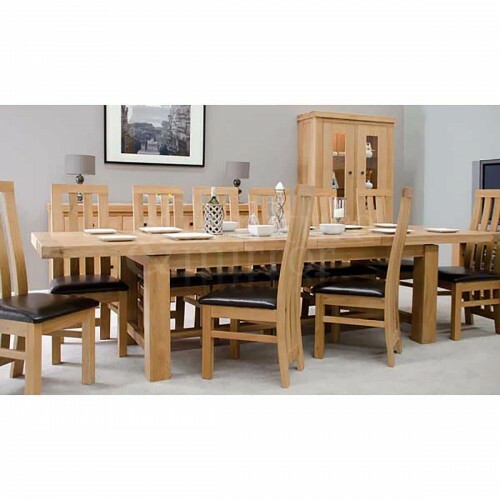 Trading in exceptional quality furniture for over 30 years, our aim at Furniture and Mirror is to provide beautifully crafted furniture items for your home or office at a fraction of the price found on the high street. 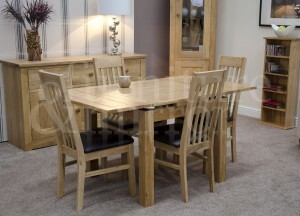 From our carefully considered selection of ranges, to outstanding customer service and delivery, we go above and beyond to ensure you are the proud owners of beautiful and unique pieces to complement your home. 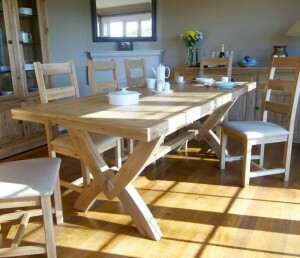 And with the majority of the items you see on our website always held in stock and available for immediate pick-up or delivery from our main distribution centre in Chichester, West Sussex, it’s understandable why we have earned a reputation that reflects quality furniture products – with a style and price to suit every taste and pocket. appx 60+ mile radius, including a free with in situ assembly service where required. (*where stated). 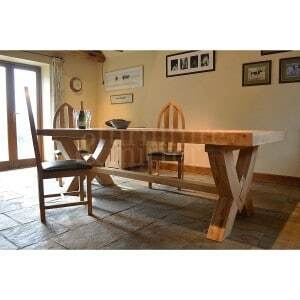 From contemporary to traditional designs, our hand crafted furniture is manufactured from solid oak and other quality hardwoods – and even support the growing trend in reclaimed timbers. 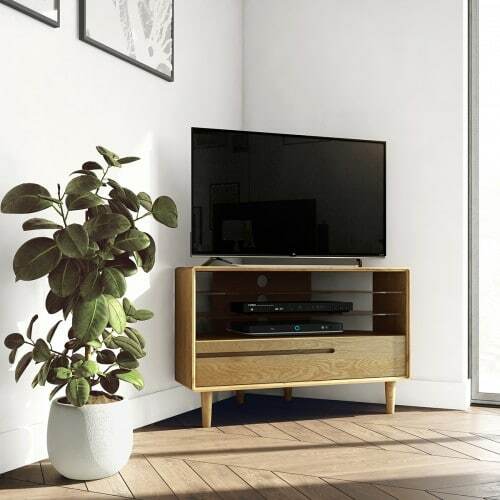 So whether it’s a solid rustic oak, or a contemporary style incorporating metal and glass to delicately painted timbers in contemporary colours – there really is something to suit every taste and pocket! 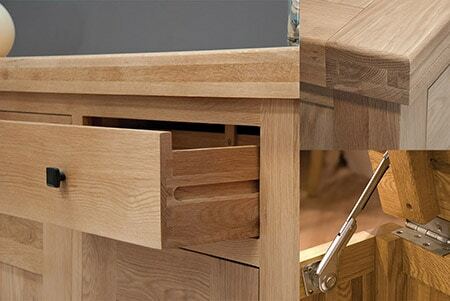 And don’t forget – many of our items even allow you to select from a range of handles to further personalise your furniture pieces. 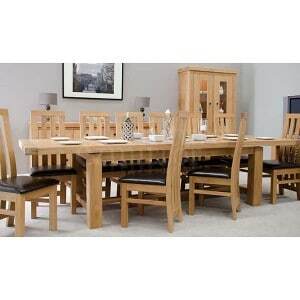 We are often asked how we can offer such superb quality furniture at such affordable prices. 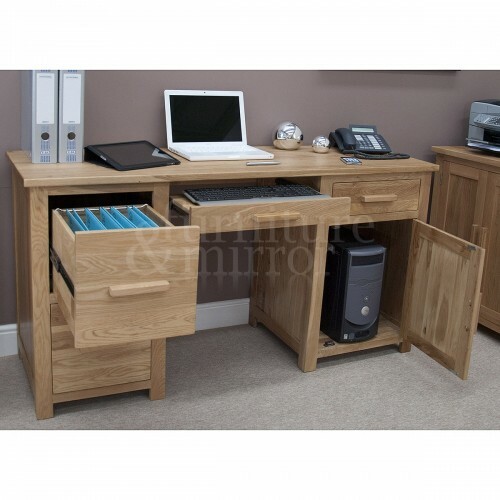 Well at Furniture and Mirror we generally deal directly with the manufacturers themselves to reduce any middle men, as well as hold stock in our own West Sussex warehouse and are able to control distribution ourselves from there. This means we can offer incredibly competitive prices, on products you can potentially access immediately and all without ever compromising on quality. Did we mention, something to suit every pocket? 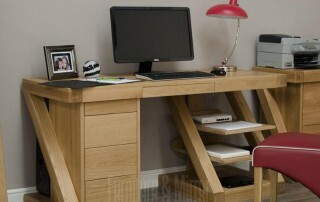 As a family-run independent furniture business, we are not a faceless organisation that hides behind the Internet. We believe that every customer deserves to be treated as individuals and from advice on selecting your pieces, through order and delivery and even advice on after-care, we are here to advise and assist you every step of the way. So why not come and meet Bill in person, or one of his excellent team and experience that personal touch of our customer service for yourself that so many others testify too. 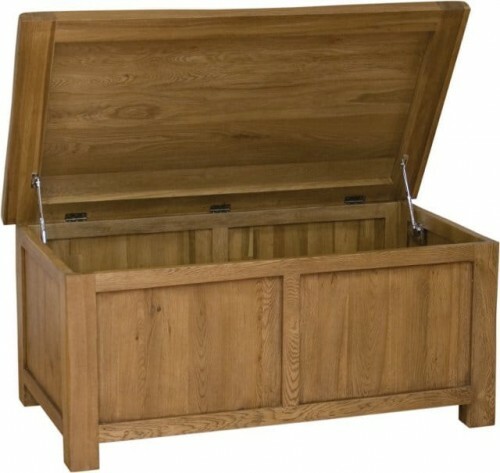 Solid furniture. Solid facts. Solid assurances. NO MDF. NO PLYWOOD. NO HARDBOARD. Furniture you desire. Furniture you deserve. 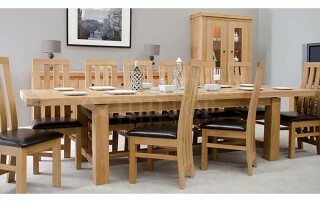 Quality furniture with a timeless beauty. 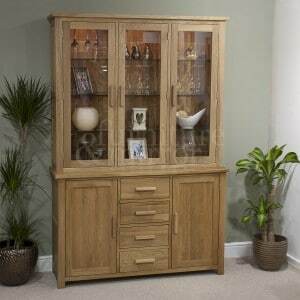 Why buy from expensive department stores and furniture chains which support huge marketing budgets, countless sales gimmicks or overpriced websites with items rarely in stock, when all our furniture is guaranteed to not only be superior in quality but a fraction of the price – and nearly all our items are continually in stock and ready to be delivered within days. 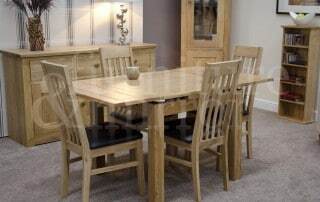 So whether you have just moved in or looking for ideas on how to update your bedroom, living, or dining room then be sure to make Furniture and Mirror your first-stop destination and get ready to appreciate the beauty of natural wood in your home. 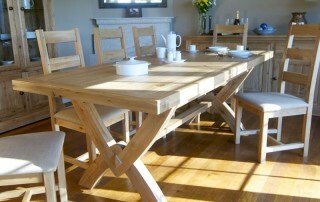 All of our wooden furniture is 100% solid with only the finest cuts of timber used in all our furniture. Our ranges have been crafted and designed to suit a wide variety of tastes with many styles on offer, which continually prove popular with all our customers. Furniture fashion never stands still and neither do we. 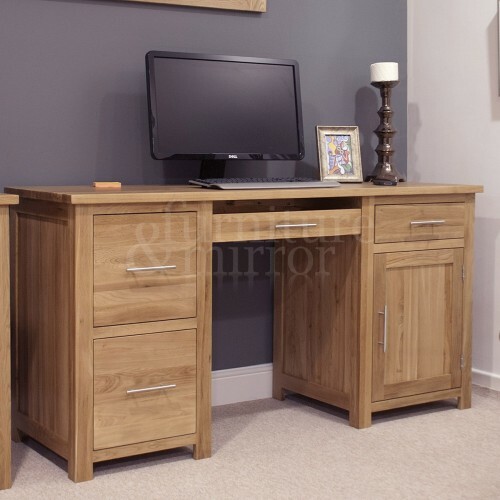 We are constantly expanding our ranges to bring you the latest trends at the quality and price that has become synonymous with Furniture and Mirror. Complimented with a stunning range of mirrors, accessories and artwork to help you finish and adorn your home. We love our customers. And they love us too! “It’s always good to receive feedback, especially when it’s complimentary. On behalf of all the staff at Furniture and Mirror, I want to say thank you to all who have taken the time and made the effort for all the kind comments we’ve received. We look forward assisting you again soon.” – Bill Priddy, Managing Director.